A man who died after a crash near Littlehampton on Good Friday (March 25) has been named by police. Michael Smith, of Warningcamp near Arundel, was involved in a collision with a car along the A284 Lyminster Road, near the Six Bells pub, in Wick, at around 7.15pm, police said. The 64-year-old was found lying in the carriageway when the emergency services arrived. Officers said he had sustained serious injuries and died before reaching hospital. A Kia Picanto being driven south by a 75-year-old man from Littlehampton, stopped at the scene. The road was closed from the Crossbush roundabout to the Wick roundabout for several hours while emergency services, including air ambulance paramedics, attended the scene. Police said at around 5.45pm on the same day officers received reports that a man, later confirmed as being Michael Smith, was on the side of the same road, having stumbled into a fence near the scene. 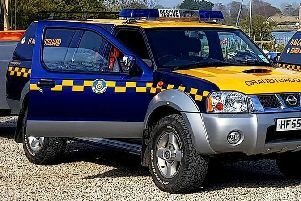 A spokesman for Sussex Police said: “With units heavily committed elsewhere at around the same time it was graded for a prompt rather than emergency response. “Sadly officers were unable to reach the scene before the fatal collision occurred. Anyone who saw what happened or who may have other information is asked to email collision.appeal@sussex.pnn.police.uk or phone 101, quoting Operation Greenleaf.